Here in Eagle County, we love our mountains and being outdoors. If you live in or frequently visit this area, then the chances are high that you’re equally enthralled with the majestic mountains at our doorstep. 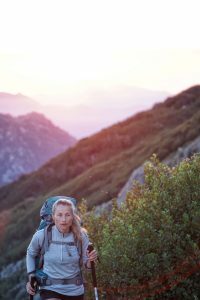 When you’re interested in hiking, biking, climbing, and more, though, you want to be in good shape so you can fully take advantage of everything Mother Nature has to offer. To do this, Barre Rhythm classes are a fun, effective solution. 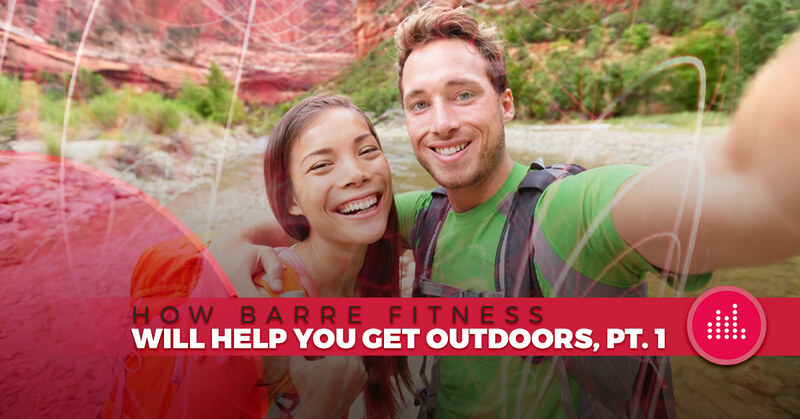 Today’s blog post is the first in a two-part series discussing how barre fitness will help improve your performance in six different outdoor activities: hiking, biking, running, golf, mountaineering, and climbing. With so many trails to explore and peaks to summit, the hiking in Eagle Valley is renowned among locals, Coloradans, and people from out of state. One specific skill comes to mind when you think of hiking our mountains: endurance. When you regularly attend a Barre Rhythm class with Angela Muzic, you’ll train your body to work harder for longer. By combining aspects of yoga classes, Pilates workouts, and ballet exercises, this class offers you a full-body workout that will increase your stamina and help you hike the mountains you love for longer. Do you love mountain biking or road biking up here in Eagle? Between the hills and the mountain trails in this area, your legs will be feeling it at the end of the day. Though it’s a great workout in and of itself, why not perform even better by strengthening your legs before your feet even touch the pedals? Barre workouts and other exercises from Barre Rhythm will help you maximize on your legs’ strength when you’re on the bike so that you can go farther faster when you switch the barre for your handlebar. When people want to improve their running, they’re generally focused on form, endurance, or speed. If you regularly do barre workouts, you’ll improve in all three areas. The aspects of Barre Rhythm that are similar to ballet exercises, yoga classes, or Pilates workouts will all help your form as you improve your posture and strengthen your back and core muscles. We’re most excited about how Barre Rhythm will improve your speed when running. Barre workouts are a fun, energetic way to improve when you’re training for a race or just trying to improve your times on trail runs here in Eagle. Up here in the mountains, you have less oxygen to take advantage of when you’re running, so running at this high elevation can be more difficult and leave you feeling winded. By doing our specially designed workouts though, you’ll increase your lung capacity and be able to handle the elevation better. These classes will also help you lose weight and sculpt your muscles, both of which will greatly help in improving your running time. Our next blog post on this topic will cover how Barre Rhythm will help you reach your fitness goals pertaining to golf, mountaineering, and climbing. We’re thrilled with how Barre Rhythm has helped us enjoy the great outdoors more, and we’re just as thrilled to share that information with you and help you improve your quality of life up here in the mountains. If you’ve ever tried barre workouts, Pilates classes, ballet exercises, yoga classes, or any other group fitness class before, then this class is for you. We combine aspects and moves from each of these workouts to give you a full-body workout that’s fun and engaging. If you haven’t done any of those classes before, then don’t worry. Angela Muzic tailors each class to the participants’ needs — no matter how beginner or advanced they may be. Check out our schedule and register today!